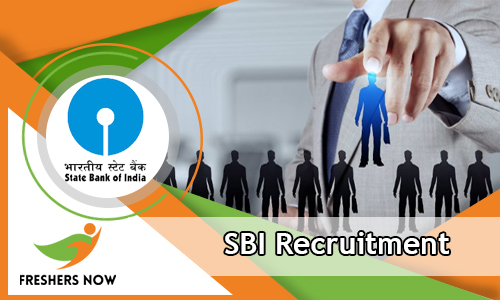 SBI Recruitment 2019 Notification is an advertisement, recently. And through this Notification, the State Bank of India, officials gave complete details related to 44 Deputy Manager, Senior Executive, Manager, Chief Technology Officer, Deputy General Manager Vacancies. And all interested people, who want to work with the State Bank of India, can apply, for this SBI Openings 2019. Now, by 11th February 2019 all the interested candidates, have to submit the application form. That too in the Online Mode. No other means of applications will be considered. So, hurry and check all the details clearly. Exclusive chance for the people, who are looking for the Bank Jobs. This is the finest chance for the people, who completed their B.E, B.Tech, MCA, M.Sc, M.Tech, MBA, CA, PGDM from any Recognized Institute or University in India, as the Educational Qualification. Remember having the Mere qualifications, will not make the candidates, eligible, to apply, for the SBI Recruitment 2019. So, kindly check all the details, clearly. And then proceed to apply, for the State Bank of India Recruitment 2019, before the final date. If you are not eligible, you can always check more other Government Jobs, on our site Freshersnow.com. Well, candidates, have to complete their B.E, B.Tech, MCA, M.Sc, M.Tech, MBA, CA, PGDM from any Recognized Institute or University in India, as the Educational Qualification. 21 years to 50 Years. This will change for all the position. Check advertisement. Check the official site of the State Bank of India at sbi.co.in. Open them one by one. And read the complete requirements clearly. Like the total details, we shared about the SBI Recruitment 2019? Well, then share them with all other Job searching friends. Latest SBI Recruitment 2018 Notification Details are given in this post. So, all those people, who are searching for the proper information, can get it from this article. All the needed help is provided in this post. Check them all. According to the data in the advertisement, an individual who is interested and have had all the Qualification, can apply for this SBI Recruitment 2018 before the final date. 28th December 2018 is the closing date. After that, no applications will be considered by the officials. So, please check all the details. And then go on to apply. Remember if you want to explore more other Government Job Notifications, check them on our site Freshers Now. Accordingly, there is a total of 39 Deputy Manager Positions. So, all those Job hunters who completed their CA from any recognized institute or University in India can check the remaining details. And then proceed to submit the application form for the SBI Deputy Manager Recruitment 2018. Contenders have to notice a table above. And that table consists of all the important information that they have to go through before applying. Before applying the contenders have to check about both Education and Experience Requirement clearly. Then only they can go ahead to submit the application form. As per the information in the SBI Recruitment 2018 Notification, applicants have to complete their CA from any recognized institute or University. And the applicants need to have a minimum 1-year work experience. Applicant age must be between 21 years to 35 yeas. For age relaxation details, check advertisement. We deeply hope that the information shared about the SBI Recruitment 2018 is helpful for the Job Searchers. Finally, the SBI Recruitment 2018-2019 Notification is out. So, all the candidates those who are looking for Bank Jobs can apply for SBI SCO Recruitment 2018-2019. So, total 119 Specialist Cadre Officers Vacancies are available. Meanwhile, a huge number of aspirants are requesting us to provide the depth information regarding Education Qualification, Age details, Application Fee, Pay Scale, Category Wise Vacancy Details, Post Wise vacancy Details, Online Application Form link, Procedure to apply for SBI Recruitment 2018-2019 link etc. To help the job seekers we have equipped all the information in a single place. So, without late refer the complete post very attentively and find out the overview. And also, remember that you have to apply only through Online Mode before 7th April 2018. As per the latest news, many of the people are seriously searching for Bank Jobs. Probably, the authority of State Bank of India has released the SBI Recruitment 2018-2019. So, we are pretty much sure that, the current SBI Openings 2018-2019 is an excellent opportunity for the candidates. So, contenders are suggested to hurry up and start your Online Application Procedure from 20th March 2018 onwards. Moreover, you have to submit the SBI Recruitment 2018-2019 for 119 Specialist Cadre Officers Vacancies as soon as possible. Because the final date is approaching fast. Meanwhile, the closing date is 7th April 2018. So, keep in mind that and follow the below sections. Therefore, to get the furthermore genuine information scroll down your pointer and refer the details. So, by verifying the above table, you can get the minimum idea about SBI Recruitment 2018-2019. Moreover, CA/ ICWA/ ACS/ MBA in Finance or 2 years PG Diploma in Finance is the education qualification for Special Management Executive Post. At the same time, Degree in Law (3 years/ 5 years) from a recognized University India is the primary Qualification for Deputy General Manager and Deputy Manager Vacancies. So, before applying for SBI Recruitment 2018-2019 all the contenders need to concentrate on the Education Qualification. And also, the officials of State Bank Of India mentioned that Experience Qualification also calculated for the candidates. So, to check the experience details go through the official SBI Recruitment 2018-2019 Notification which we have attached at the end of this post. Therefore, without wasting your valuable time just scroll down this post and find the furthermore detailed information. coming to the Age Details, the Minimum Age for Special Management Executive Post is 30 Years and Maximum Age is 40 years. At the same time, the Minimum age for Deputy General Manager Post is 42 Years and the Maximum Age should be 52 years. For the Deputy Manager Post, the Minimum Age must be 25 Years and Maximum Age is 35 Years. And one more good news for the candidates is Age Relaxation is applicable as per the terms and conditions of Government. So, to get the Age Relaxation information just scroll down the current post and open the Official SBI Recruitment 2018-2019 Notification. And find out the Age Relaxation details. Also, get the Positing Places from the Advertisement. Moreover, the competition for Bank Jobs is very heavy. In order to grab the job, all the applicants need to prepare well for the selection rounds. So, the officials of State Bank Of India stated that they will conduct the Interview Round for Special Management Executive, Deputy General Manager Posts. Meanwhile, for Deputy Manager Post, the authority will conduct Written Exam and Interview rounds. So, you have to prepare well for the deputy manager vacancies. Many of the eligible and interested contenders are going to apply for SBI Recruitment 2018-2019. Therefore, you can download the genuine Syllabus and Old Papers on our website at free of cost and prepare well. Remember that all the selected contenders can get an excellent pay from the authority. For Special Management Executive Post selected people can get Rs. 18.00 Lacs Per Annam. To get the post wise Salary Details check the below sections. Check the post wise Salary Details from this section. After completion of your application process, you have to take a look at the syllabus, Exam Pattern and Model Papers. CA/ ICWA/ ACS/ MBA in Finance or 2 years PG Diploma in Finance is the education qualification for Special Management Executive Post. At the same time, Degree in Law (3 years/ 5 years) from a recognized University India is the primary Qualification for Deputy General Manager and Deputy Manager Vacancies. To get the complete Education Qualification Details you have to verify the Official SBI Recruitment 2018-2019 Notification. We hope all the candidates got enough information regarding SBI SCO Recruitment 2018-2019 by referring this post. Visit our website freshersnow.com frequently.